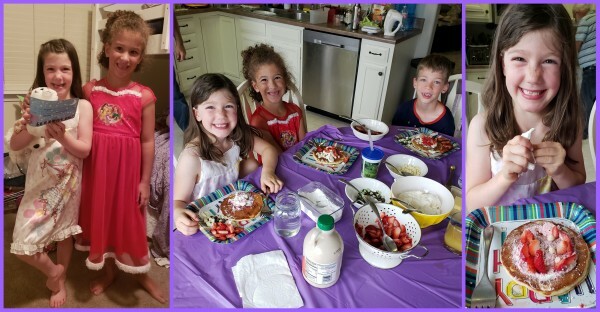 I am pretty sure that before every single birthday party we throw for our kids, I say, “Let’s keep it simple.” And every year, it just ends up being far from that. I seriously don’t know how it happens EVERY.SINGLE.TIME. 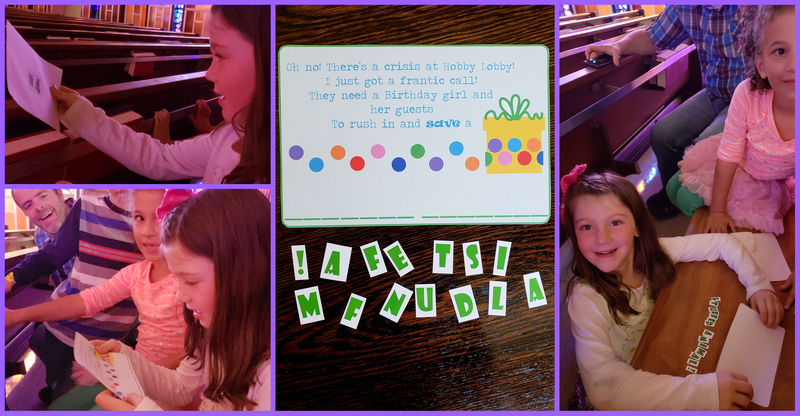 This year for Selah’s birthday was no different…we decided to let her choose one friend to celebrate with and the plan was to…you guessed it…KEEP IT SIMPLE. 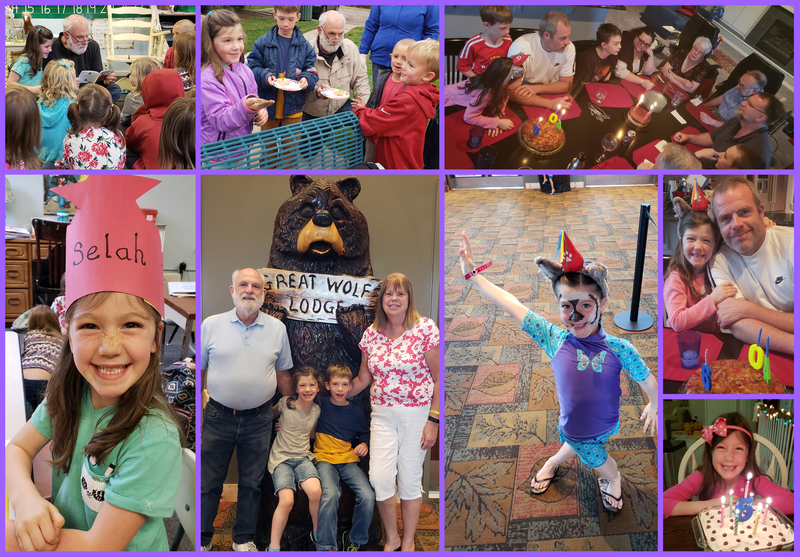 But then as the birthday ideas began to come together in my mind, they just kinda snowballed into a somewhat extravagant birthday “Selahbration” for our girl. Her very special guest of honor was her dear friend Stella and so other than knowing that Stella would be there, we decided to keep all the party details a SURPRISE for Selah! Oh my, this turned out to be way more fun than I could have ever imagined!! The theme that came together was activities centered around the letter “S”…Selah turning Six with her friend Stella…it all just came together in my mind and I decided to send her on a little scavenger hunt with clues that she had to unscramble. (P.S. 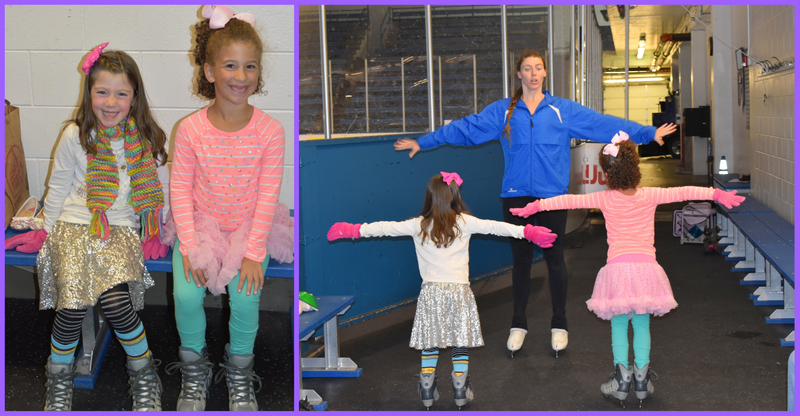 What a great learning opportunity! After I came up with this idea for her birthday clues I started incorporating unscrambling letters into her homeschooling day!) I created postcard clues with real STICKERS that she had to unscramble! I’ve never made stickers before and now I am totally hooked. I want to make stickers for everything. Super fun. 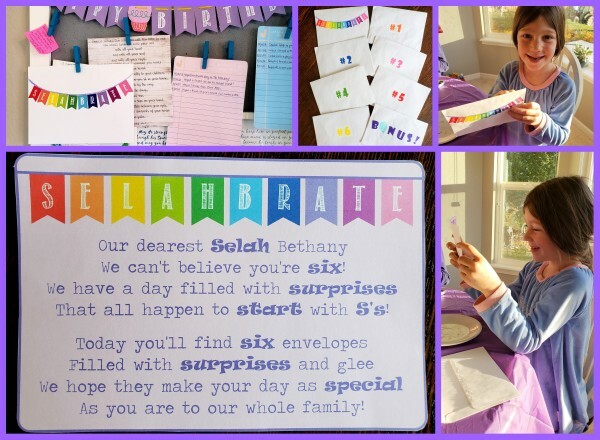 I had so much fun prepping this day for her! 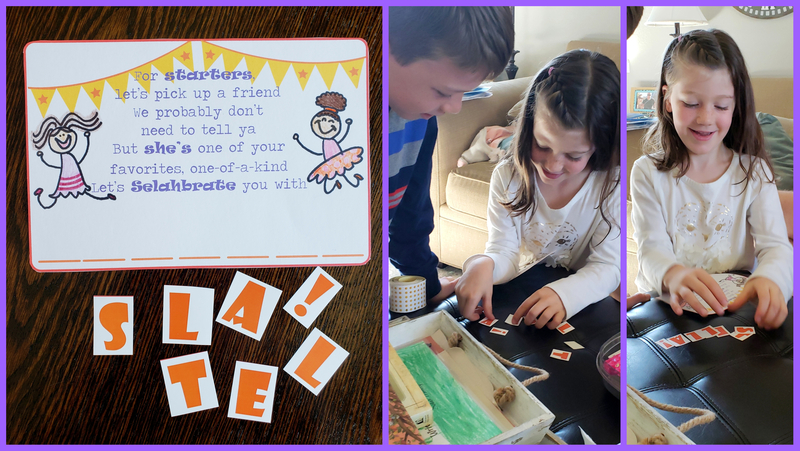 So the day began with her finding an envelope pinned up to a cork board in our kitchen that read, “Selahbrate.” I had seven other envelopes waiting (six plus a bonus one) that I would place/hand out strategically. Within the first envelope was a card that explained the day ahead. To help kill time, Elliott selected a special book and suggested that she read it. It was one of her favorites–Angelina’s Birthday Surprise. And much to her surprise, as she began to read through it, an envelope fell out from the pages of the book! It said “#1″ on it!! “WHAT?!! How did that get in there?! !” she exclaimed with glee. Can YOU solve it?? 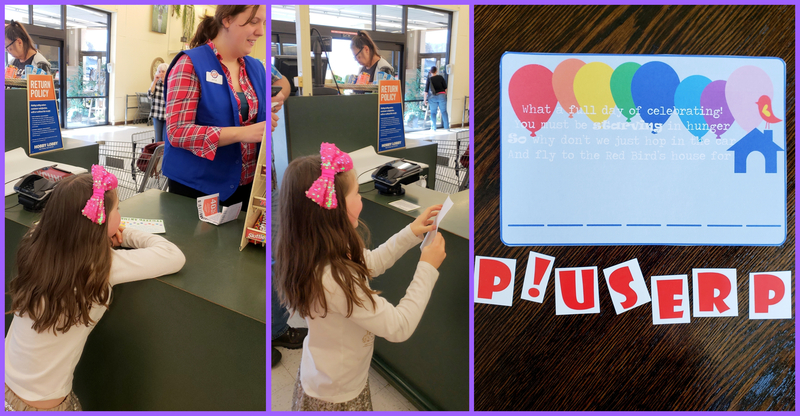 Now, this one was a little tricky because it was actually two words and it was the second word that started with S. (But I knew if I put the first word into the print it would be too easy for her to solve.) 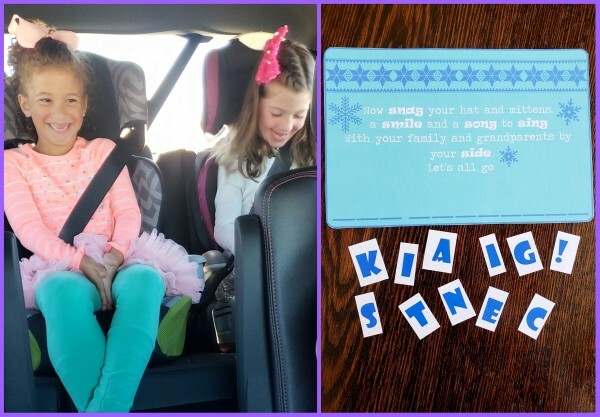 And she had to unscramble it in the car. 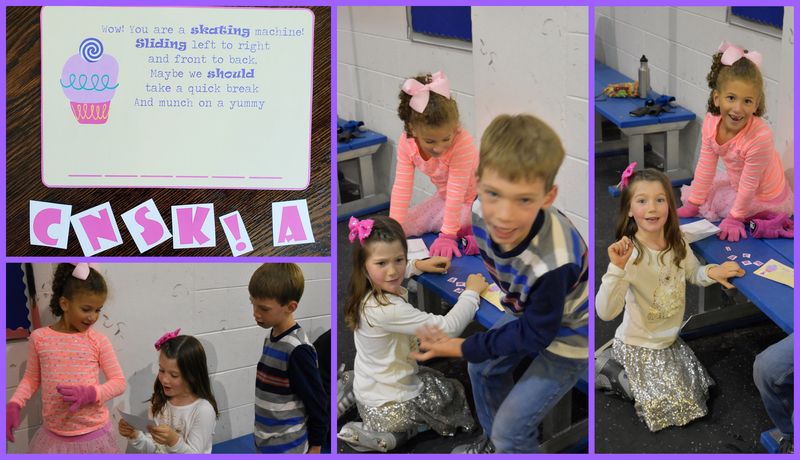 I told her which letters to group together for each word and with a little coaching, “What does the word have to end with to complete the rhyme?” and a few more prompts, she figured it out! 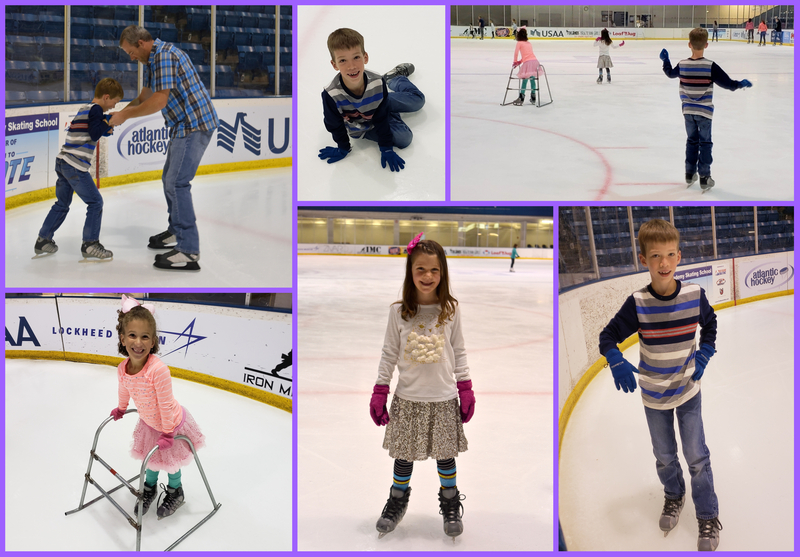 She had been asking several months back if we could go ice skating and it just didn’t happen. When I thought of that idea for her birthday I knew it would be the perfect surprise adventure. 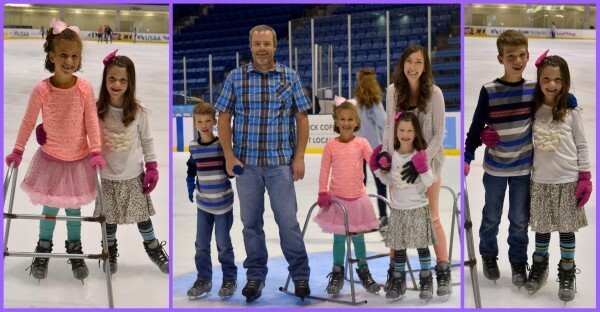 The kids had never been so they were thrilled!! I was able to get a 30 minute private lesson for the girls. 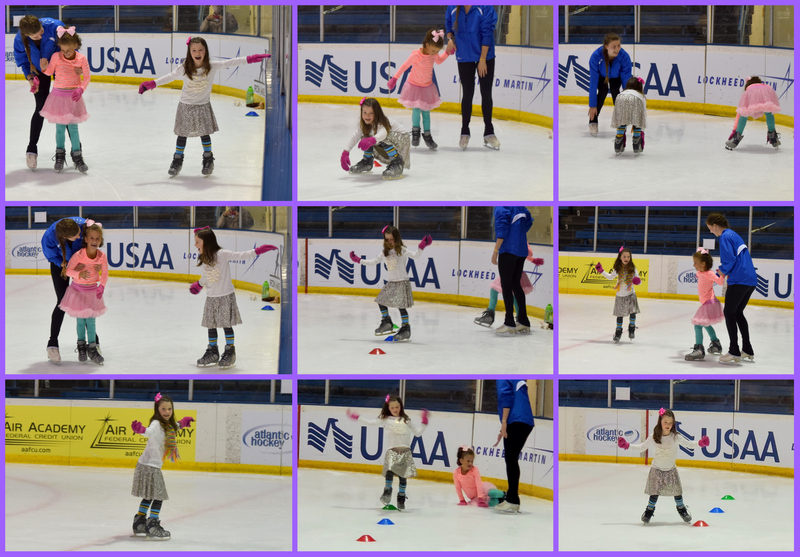 Stella had never skated either and this seemed like a good way to start things off. The gal was wonderful with them and happened to be from South Africa which was super fun! In the second picture you can see Elliott running to tell me that he’s figured out the answer ;). 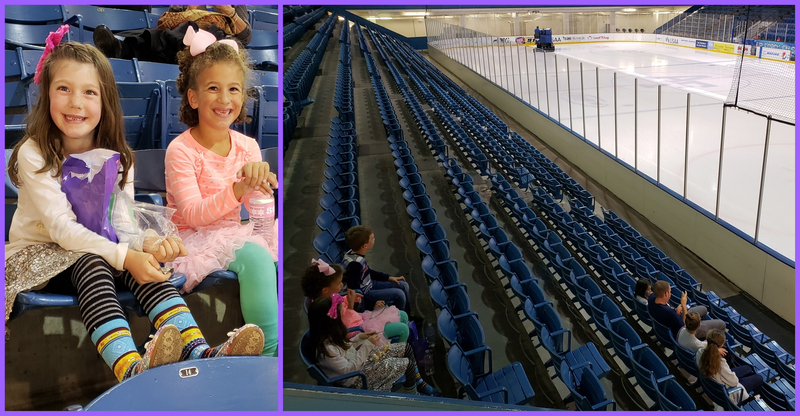 After open skate time was over, the kids reluctantly got off the ice and enjoyed the rest of their snack while the zamboni prepared the ice for the hockey game that evening. 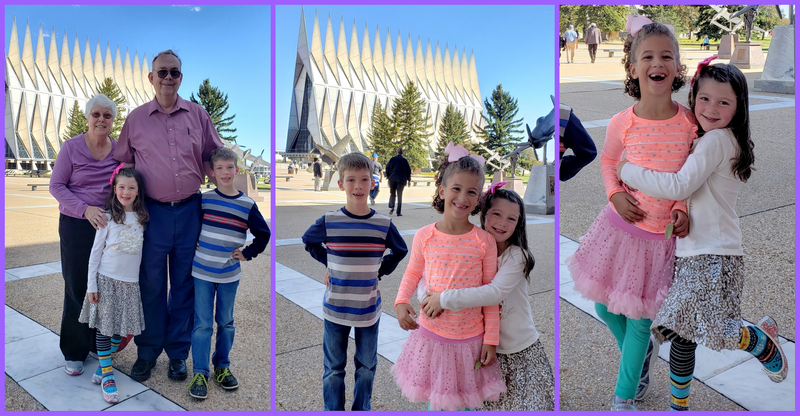 We were at the Air Force Academy so we decided to swing by to see the chapel which will be closing for a long time for renovation. We walked in to look around and encouraged Selah to sit down in a certain pew. Within a few seconds she spotted the envelope sticking out of a hymnal and I’m pretty sure her jaw actually touched the floor!! This was another two-word clue. I did help her by sorting the letters into two piles so she could solve one word at a time. The party favors were that each kid got to pick out a stuffed animal. This was fun :). 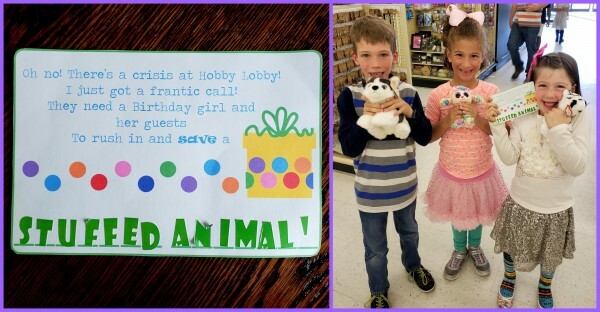 Selah brought her new stuffed animal up to the register and lo and behold, as the gal handed her stuffed animal back to her she also handed her an envelope… Selah’s utter shock never got old!!! 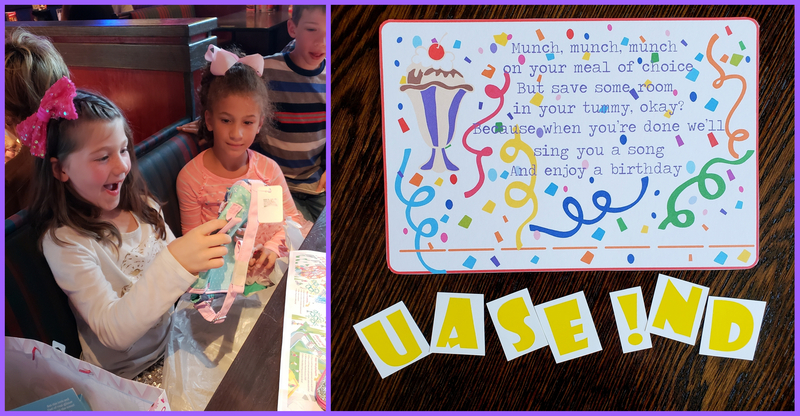 She opened some very special presents, we had a delicious dinner and towards the end of our meal, Selah received a sixth envelope from the waitress! Now, for various reasons, I chose to do a Bonus envelope in addition to the six envelopes. I knew that this was, by far, going to be the best of all the surprises. She was surprised that their was a bonus envelope in the first place, but as she opened it and read it and started to figure out what it could be…she couldn’t even contain herself. 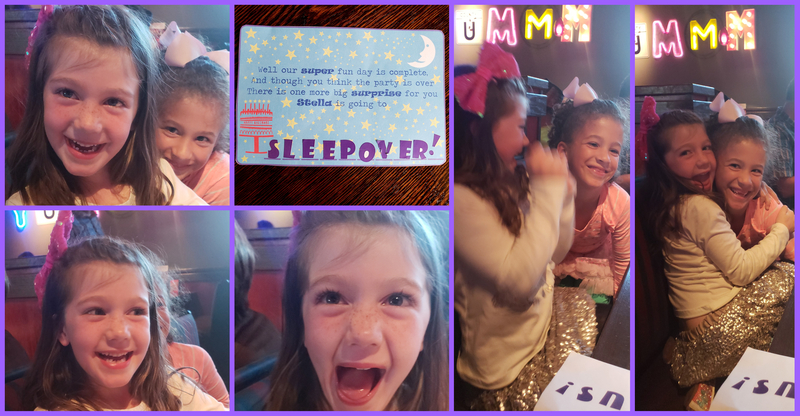 It was both of the girls’ first (real) sleepover and it was absolutely fabulous. Girl chats, lots of laughter, not enough sleep, and delicious pancakes the next morning: utter birthday bliss :). Although yes, the clues turned out to be super fun and special, I have to say that what made this party a success were the people who were there to selahbrate with our girl! She had both sets of her grandparents there, her parents and brother, and her dear friend Stella who has so many of the qualities I have prayed for in a friend for Selah. 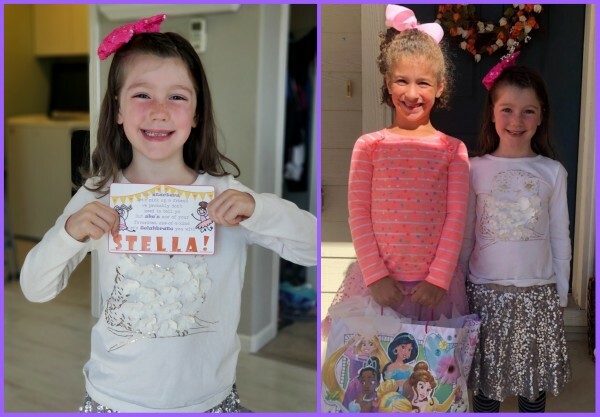 Stella is kind-hearted, thoughtful and FUN!! She has the BEST giggle and she lets it loose freely!! 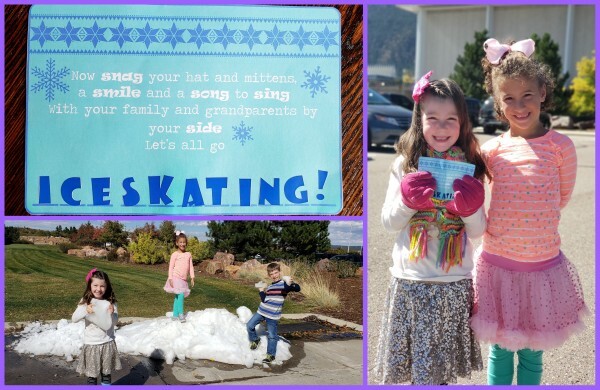 I am thankful Selah had such a special friend to go on this birthday skating scavenger hunt adventure with her! She was surrounded by people who love her tremendously, and that is what made it wonderful!! So all that to say… real simple, right?! And the reality is, BEYOND this splendid birthday party Selahbration, Selah had multiple other celebrations…her very first classroom birthday celebration where her grandpa read one of her favorite books to her class, a park co-birthday celebration with one of her classmates after school, a birthday party at Grampa and Nonna’s house with family, AND…her Grandma and Grandpa took her and Elliott to Great Wolf Lodge for three days!!! AND we had mud pie at home on her actual birthday!! What a birthday!!! 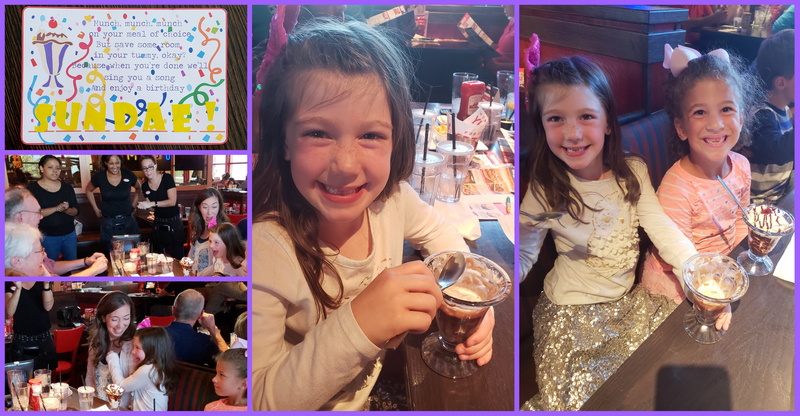 I have a feeling she’ll ask to turn 6 every year!! 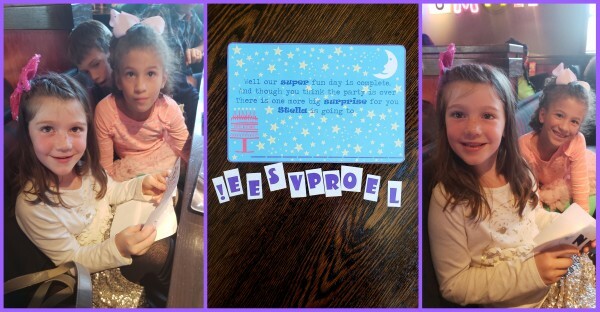 Selah girl, it is utter joy to selahbrate you!!!! 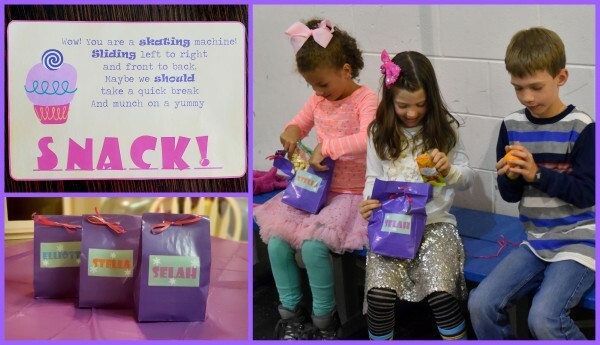 Well, it’s official…Selah is the luckiest girl in the world! Dad and I are still reminiscing about how excited she was to receive the clues, and her absolute innocence about how people KNEW!!! I got to leave the clue in the hymnal at the Academy Chapel and almost spoiled the surprise in my own eagerness for her to find it!! Blessings to you, Susanne, for your creative spirit and your joy in your daughter. 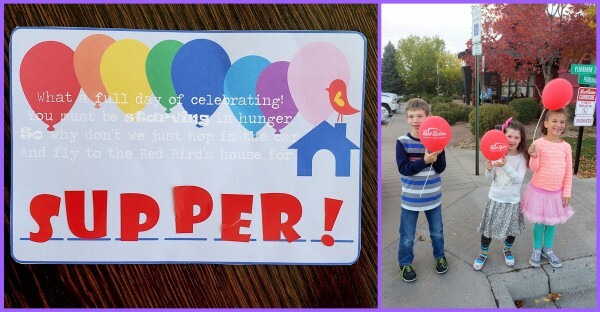 < Elliott’s 7th Soccer Birthday!